As Jamie Cullum prepares to release his sixth album, the Cheltenham Jazz Festival director tells Andy Welch why he finally feels confident enough to call himself an artist. 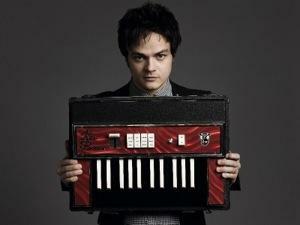 Watching Jamie Cullum on stage, leaping around, standing on his piano, cracking jokes with the audience and generally giving the impression he’s having the time of his life, you sense the one thing he’s not short on is confidence. But despite that appearance, and the fact that he’s been releasing albums since 1999, he says it’s only now he feels confident enough to refer to himself as an artist, rather than “just” a musician. It might not seem a big deal, but to 33-year-old Cullum it’s a significant distinction to make.